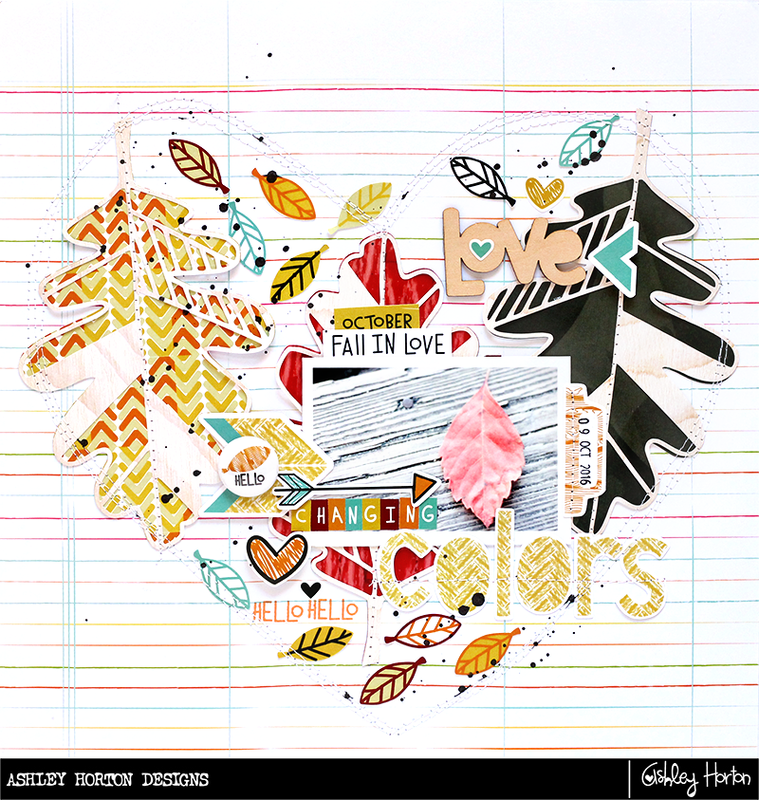 I am having so much fun with my Oakley Avenue collection from Pretty Little Studio! 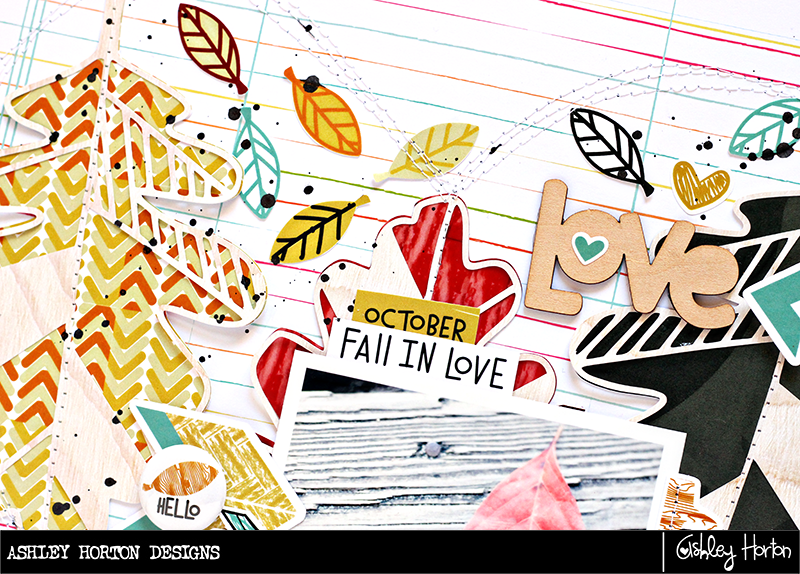 I have a new layout to share today, using the Leaf Pile cut file from The Cut Shoppe. The collection and cut file were perfect with the photo I snapped, of a fall leaf that was found on an afternoon walk. 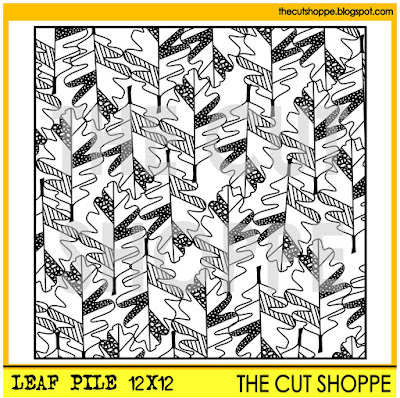 Instead of cutting the full background cut file, I just cut three individual leaves. Then I backed each one with various papers from Oakley Avenue. I knew I wanted to layer my photo over the leaves in the background. 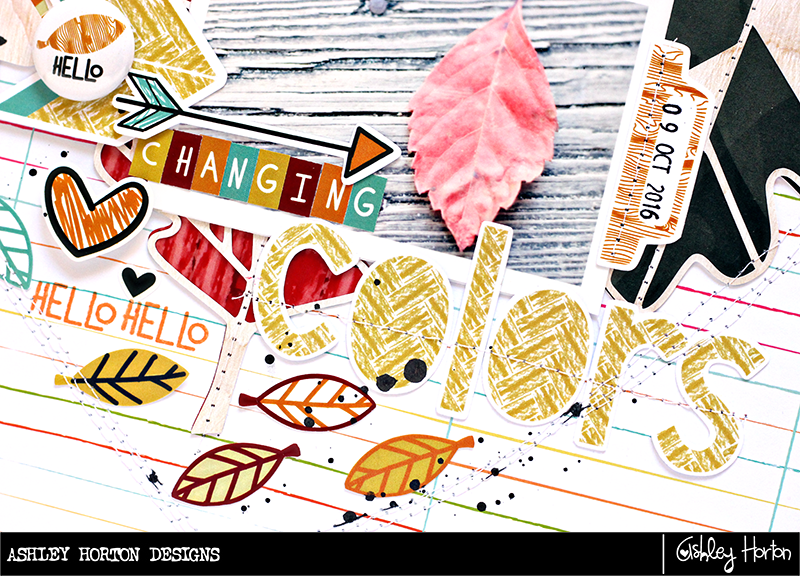 Then I used a mix of the Breezy, Rusted, Golden and Vibrant letter stickers for the title, as well as the Firewood Alphas...which are my favorite!! Once I had the title finished, I embellished around the photo with a mix of wood veneers, cut aparts, die cuts and a flair button from the collection. I also decided to add a bit more leaves to the layout, so I fussy cut several from the Leaf Love patterned paper. After placing the leaves, I noticed that I had ended up with a heart shape! So I decided to machine stitch around the design to help define the heart shape. Do you have a favorite from the collection? Mine would definitely be the Firewood Alphas and the Fall Away Arrows! You can grab your favorites over in the Pretty Little Studio shop! Halloween Hero & Happy Haunting! Hello Fall & OAKLEY AVENUE GIVEAWAY! !